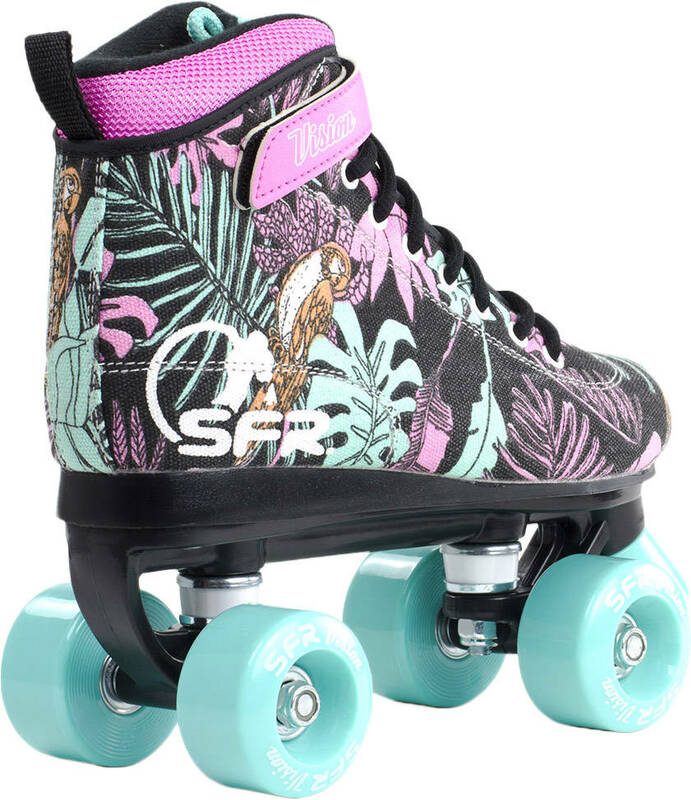 Sporty designed kids roller skates with a big brake in front. These quads kids skates are high-cut and designed to be durable skates for both indoor and outdoor skating. They are semi-soft and have laces and velcro straps for a better fit. 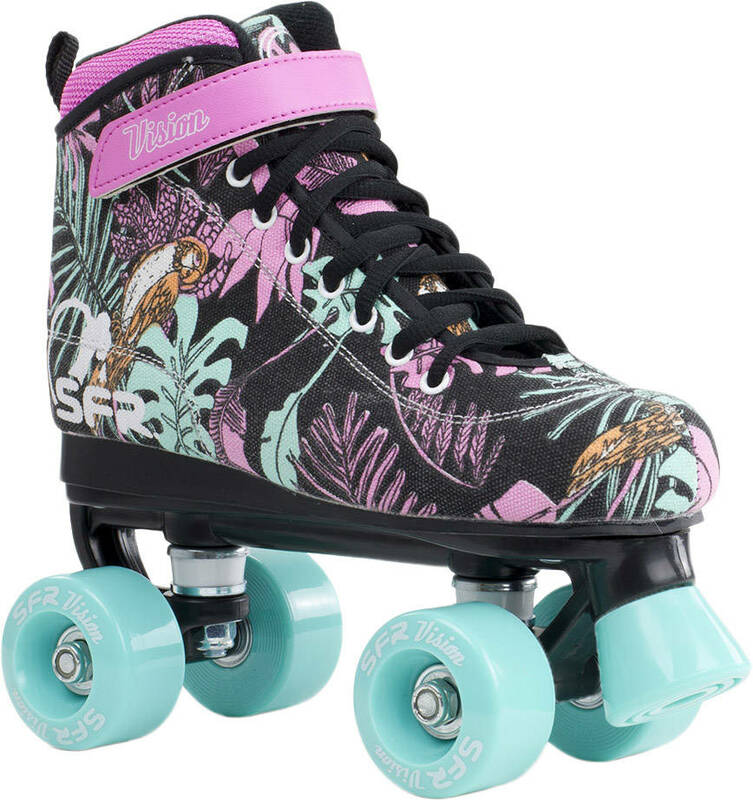 Notice: The skates are small in size. Therefore, we recommend to choose 1-2 sizes bigger than the normal shoe size. The wheels are plastic-like and will be worn over time. Bought these for my girl for xmas so she hasn't seen them yet.. I can't wait to see her face and see the enjoyment.. great quality good sizing fast delivery and great communication i will definitely shop here again.. 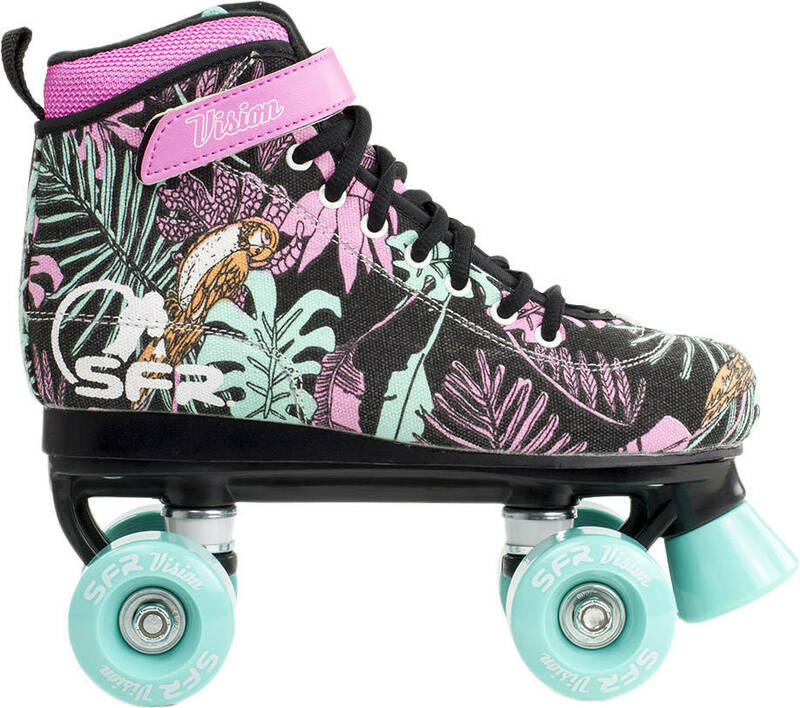 The skates are adorable, well-made and enjoying their new life in California! Your company has been a delight to work with and my granddaughter is absolutely thrilled with her new skates. No one in America makes such cute ones, so she is constantly being asked where she got them! We highly recommend your product and your company.